There is nothing good as coming home tired and then being able to enjoy a relaxing spa-like atmosphere, where your feet get to be massaged in a soothing way. A footbath is that machine that will help you get that wonderful experience right in the comfort of your home. With this Aqua-Jet Foot Spa and Foot bath you can be sure to get a soothing massage to all the right places of your feet. It is designed to produce powerful jets that bring about that soothing effect. All you need to do is just choose the speed, sit back and enjoy. This brings about increased circulation and relieving tight muscles in the feet. To add further to the relief, this machine has two rolling stones for kneading the feet. Its heating system is designed to heat the water to up to 115F and still maintains the temperature at the level until you are done. To complete your spa experience, it also has a pumice stone that allows you to scrub the scales from your feet leaving them smooth and soft. Have a great time away with a nice foot spa bath that will leave you invigorated. It has nice features that will literally blow your mind away. Pumice stone for scrubbing the feet leaving them soft and smooth. The stone removes the dry skin off at the heels and the footpad. Two massage rolling stones for kneading of the feet. Speed adjustment point to control the machine to a more personalized state that the user may feel comfortable. Roomy, spacious and can accommodate up to size 14 of a man’s foot size. This makes it possible for one to sit in a comfortable way without straining. Its heating system has the ability to heat the water up to 115F and still maintain it at that level until the session is over. The footbath has a 400 wattage motor capacity meaning it is powerful and can run for many hours in a single day. A hood covering that prevents splashing of the water during use. It has a heat mechanism that allows the water to maintain its temperature for a long time. The heating process does not take long; just a number of minutes and you are ready to go. It produces powerful jets that bring about that ultimate soothing effect. It is deep enough to cover up to the ankle point, making it very nice for a complete and effective foot massage. This also allows for more water holding capacity. Its handles are well designed thus making it easy to move around. Increases circulation, relieves tight muscles and soothes the feet. Addition of liquid soaps and gel is not allowed as this can clog the jets. It only uses clean water. With water in it, the machine becomes heavy to lift and move from one place to another. There are many different footbath machines out there in the market designed by several manufacturers, based on various specifications. Therefore, it is best to compare some of them so that you will be able to make an informed and detailed decision. In our case, we will compare it to the PIBBS Foot Bath Massager FM3830 and uComfy Shiatsu Foot Massager with heat. 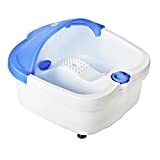 The PIBBS Foot Bath Massager FM has the following features: a 3 mode system of vibrate and heat, a detachable splash shield, two dual side foot pads with holes that produces bubbles for an invigorating effect, three plastic insert attachments, one cord storage band, a foot size capacity of up to 12/13 and a water holding capacity of 4.5 liters. The one excellent feature of this footbath is that one can use Epsom salts, liquid gels and soaps. It is also easy to handle, dump and rinse. Although it is cheaper than the Aqua-Jet Foot Spa, it does not have the same features. Complement other pedicure spas with this massager as an extra bath, or use it at home to relax and unwind. With vibrating massage action, this bath maintains a warm water temperature for extreme comfort. Prevent splashes and spills with the detachable splash shield. Each pack includes one foot bath massager measuring 14 inches wide, 15 inches long, and 6.5 inches deep. This unit comes with a 1-year warranty. If you are seeking an invigorating experience, then this sleek stylish, light and portable uComfy Shiatsu Foot Massager with heat foot bath will give you just that. It uses air pressure, kneading and heat mechanism system to massage the feet, unlike some models that use water. It also has a vibratory mechanism that allows the feet to vibrate both at the top and at the bottom providing that soothing effect. It has the ability to massage the top and the bottom of feet all at once. Furthermore, it has a kneading and vibrating effect to offer you a soothing massage. It is relatively light, weighing in at only 12 pounds. The price tag for this machine is also inexpensive. Other additional features include a washable cloth cover and a standard electric plug in source. When operating, it is imperative to start from low-level speeds then adjust slowly upwards. This will prevent it from heating up in excess, so you don’t burn your feet. This product is suitable if you are looking for a foot massage that does not involve water. 5 LEVELS OF MASSAGE INTENSITY MODES: To increase versatility, the uComfy Shiatsu Oval Foot Massager has five different intensity settings, ensuring you get a comforting massage rather than a painful one. The graduated intensity settings also allow you to slowly increase the intensity of the massage during the course of the massage. You also have the ability to manipulate the controls located on the center console during your massage. 2 MASSAGE STYLES: The uComfy Foot Massager has a 1) kneading shiatsu-style massage and 2) a vibration-style massage. The Massager comes with a heat option to help loosen your muscles and increase comfort you can use a single option or combine two or more settings, which increases versatility. The foot massager also has a Heating and air pressure setting for absolute control of your massage experience. USING THE PRINCIPLE OF FOOT REFLEXOLOGY: The uComfy Shiatsu Oval Foot Massager delivers an Acupressure massage surrounding your feet with heat and compression that is perfect for helping relax and soothe your tired, aching feet and relieve tightness, the acupressure massage uses manipulation of pressure points in your feet ,leaving you feeling relaxed and renewed. CAN BE USE REGULARLY YET STILL EASY TO MAINTAIN: For easy maintenance and improved hygiene, the Foot Covers are removable via zippers and are machine washable. You also can Keep the foot massager clean by simply wiping it with a damp cloth. The uComfy Shiatsu Oval Foot Massager is made from durable materials, including ABS plastic and nylon, the massager is sure to stand up to regular use, while the rubber stand keeps it in place while you relax. Aqua-Jet Foot Spa is a good machine. For a nice foot massage after a long day's work, then this is the best you will want to buy. It is spacious and its water holding capacity is great, covering up to the ankle point ensuring you get a complete footbath. Its price tag is relatively cheap and will be a great buy for anyone. 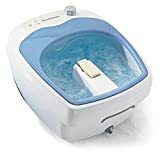 This footbath machine can be bought alongside some items, such as: Lavender Foot Soak with Epsom salts, that softens the nails, cuticles and also relieves sore feet; tea tree oil foot soak and foot repair creams, among others. This is definitely a great buy. 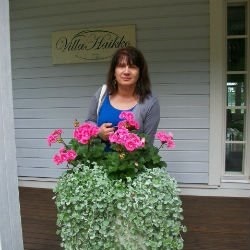 It has a great foot size and comes at an inexpensive price. This machine is excellent at what it does. In addition, it has a speed adjustment system that allows its users to adjust it to a level they feel comfortable. Unlike other foot baths, this footbath has a hood covering to the prevent splashing of water during usage. This heated foot bath will do what it is designed for and do it to perfection. You will not go wrong with this machine. Despite the few cons attached to it, this machine is great. What is the Quietest Foot Spa? 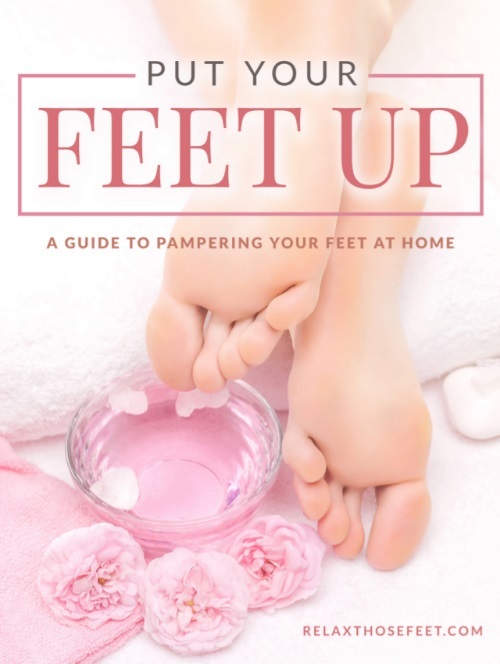 relaxthosefeet.com is a participant in the Amazon Services LLC Associates Program, an affiliate advertising program designed to provide a means for sites to earn advertising fees by advertising and linking to Amazon.com. Copyright © 2019 Relax Those Feet. All Rights Reserved. DIY home foot reflexology and more!